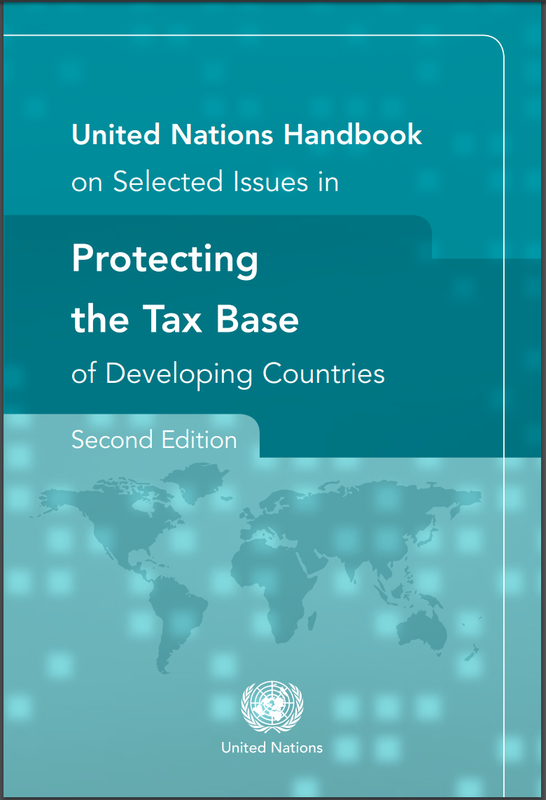 The UN has just released an updated edition of its United Nations Handbook on Selected Issues in Protecting the Tax Base of Developing Countries. While technical in style and cautious in approach, the UN tax handbook identifies a range of issues in which the OECD’s Base Erosion and Profit Shifting (BEPS) process has failed to deliver for lower-income countries – which suffer most intensely from the estimated $500 billion of annual revenue losses due to multinational companies’ tax abuses. With tax justice an increasingly high-profile area of debate at the UN, the handbook provides both a valuable resource in terms of technical analysis of profit shifting from a lower-income country perspective, but also an interesting snapshot of how the politics of international tax is changing and will continue to do so. The chapters of the edited volume address a range of important aspects of the OECD BEPS process, such as rules on permanent establishment, and areas of BEPS activity not addressed by the OECD, such as General Anti Avoidance Rules (GAARs) and tax incentives. Inevitably, with a range of authors there are quite different approaches to the established OECD positions. Some directly address the extent to which lower-income countries can and should go beyond, or counter to, the OECD BEPS positions. Others take the BEPS process as effectively final, and explore the implications for lower-income countries and the scope for progress within, or working around, the OECD outcome. For example, the handbook highlights the attempts of multinational companies to limit both the availability and use of country-by-country reporting data – above all, to prevent any use for formulary apportionment approaches that would break with the arm’s length principle that OECD BEPS was designed to protect. At the same time however, the handbook is cautious about drawing the obvious implication – that lower-income countries should simply require this information directly as a condition for multinationals to operate in their jurisdiction, and use it as they choose – rather than rely on the OECD’s byzantine and obstructive information ‘exchange’ arrangements in this area. Overall, there is a great deal of valuable information in the handbook – and a window to the future. Many of the failings of OECD BEPS for lower-income countries identified here will be at the heart of the international tax debate over the coming years. The UN tax committee has a new membership more representative of lower-income countries, and additional funding from India. There is greater engagement on tax questions from the G77, not least with Ecuador in the chair. And finally, the political turmoil in the US and UK (and to a much lesser extent the EU) opens the door for lower-income countries to seek progress in the historically limited international political space for tax justice. The UN tax handbook may pull some of its punches, but if there’s a fully representative, intergovernmental tax body coming down the tracks, it will find much of its agenda here.